Ok, so we’re at the penultimate film in the series of portmanteau horror films produced by Amicus in the 1960s and 1970s. We all thought that the fashion for the cravat was sliding into a decline in Part 3, didn’t we? There were slim pickings indeed in Asylum and Tales From The Crypt, but let’s move on from the bleakness of 1972 and into the bright future of 1973, let’s move into The Vault of Horror! The framing story here involves a group of strangers who find that the lift they are all in unexpectedly takes them down to a sub-basement. This sub-basement is done up to the nines with a plush, gentlemen’s club decor and a table for five set with brandy and soda. 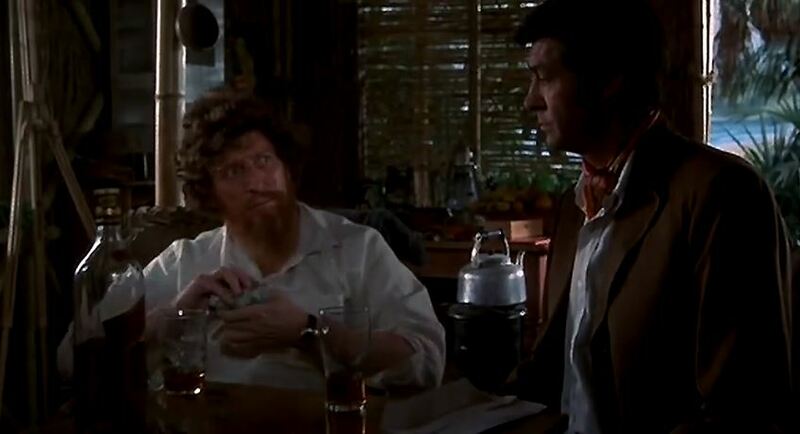 Of course, this being an Amicus film, the five strangers sit down and tell each other their recurring nightmares. In the first story Daniel Massey hires a private detective to track down his sister for him. Now then, something quite portentous happens here. 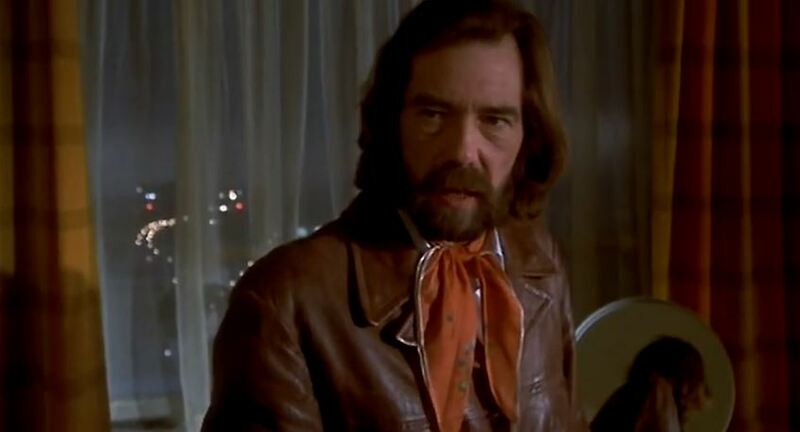 The detective shows up at Massey’s apartment, a big bearded chap in a leather jacket, possibly a bit of a thug, but he’s wearing a delicate peach coloured chiffon cravat with silver edging. Daniel Massey has nefarious deeds afoot so he decides to kill the detective. 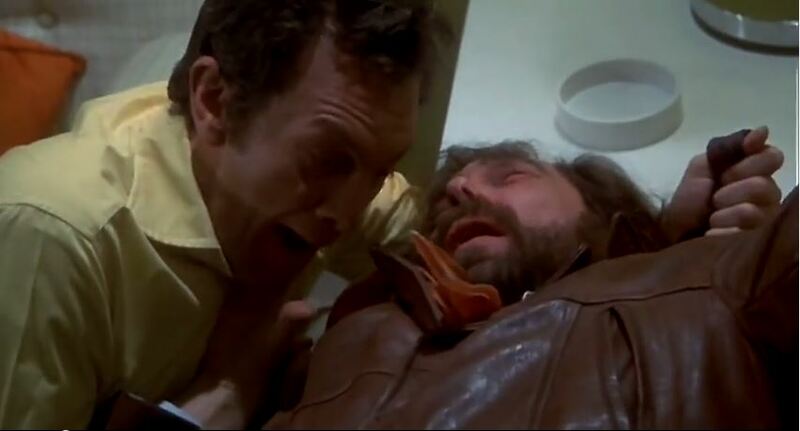 This is where it gets interesting for the cravat-conscious, Massey in an open necked shirt strangles the cravat wearing detective with a necktie. As we’re nearing the end of the heyday of the cravat, it’s all rather prophetic. Open necked shirt, tie and cravat all in a battle to the death like a perverse game of stone, paper, scissors. No? Perhaps it’s just me then. 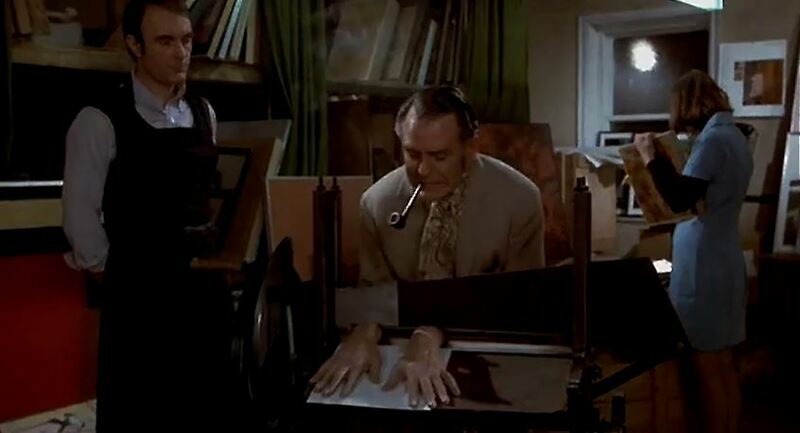 On with tale number two, Terry Thomas is the star so of course there’s going to be cravats. Here he plays an obsessively tidy husband whose wife doesn’t meet up to his demanding expectations. 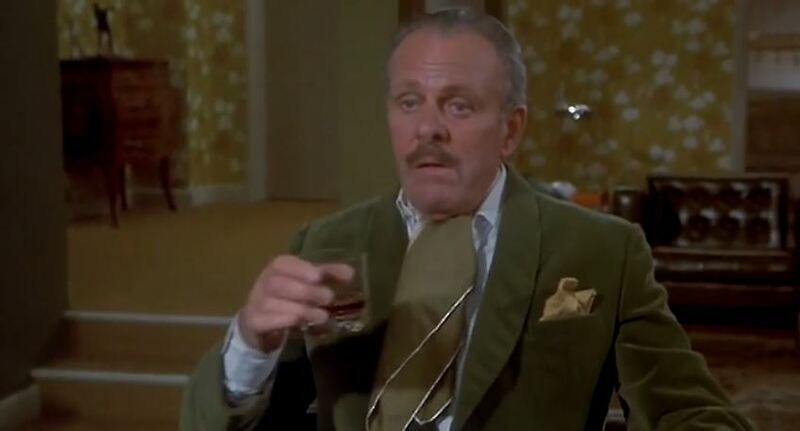 Terry Thomas often wears cravats in his films, doesn’t he? Exactly the sort you would expect to wear one? Sadly though, he never really suited the damn things. Why he couldn’t pull it off, I don’t know. Demeanor? Neck proportions? Who knows? 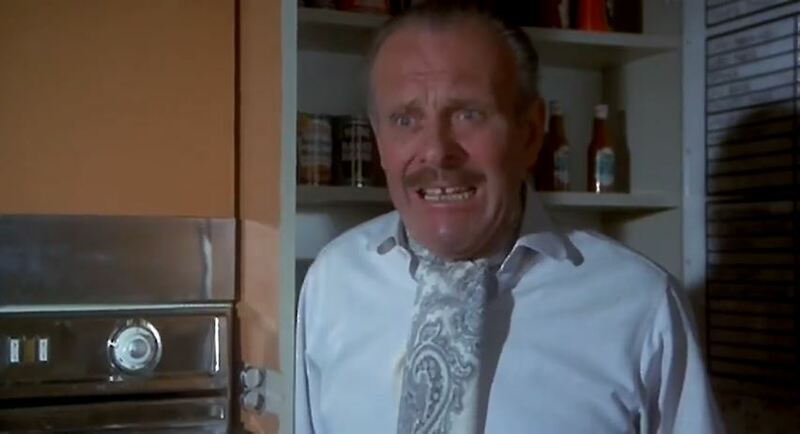 But, as much as I love him, Terry Thomas wears a cravat with all the elegance of a neck-brace. Note also, the silver edging on that green cravat. 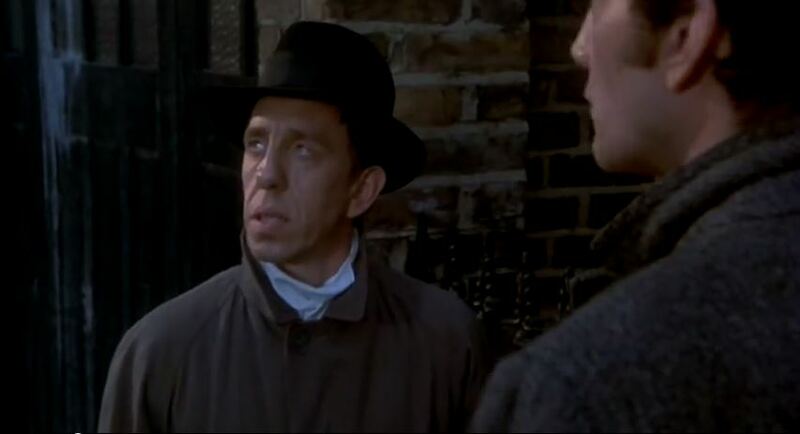 I wonder if he’s been shopping in the same place as Daniel Massey’s detective? The third story gives us the great Curd Jürgens as a stage magician looking for new tricks in India. 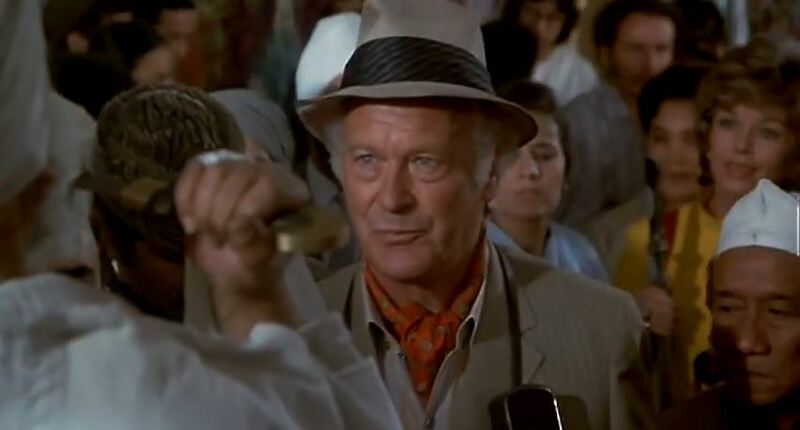 Curd looks every bit the 1970’s westerner on his travels in the Orient with the standard uniform of linen suit and cravat. A classic look. 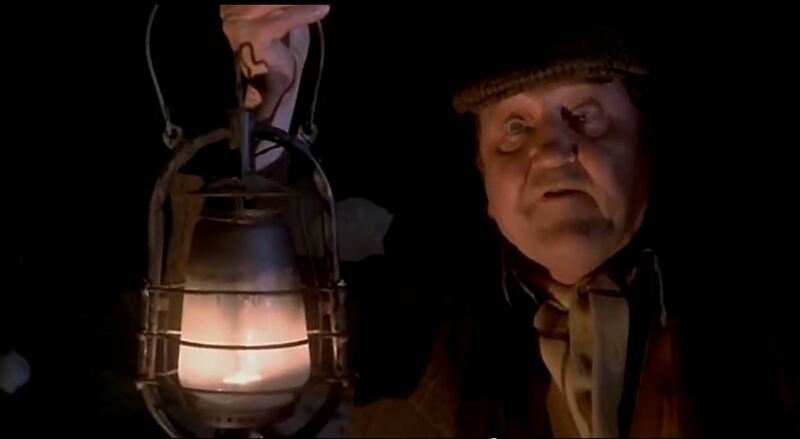 Tale number four, a story of fraudulent deaths and exhumations, would be cravat free if it wasn’t for the appearance of Arthur Mullard, of all people, as a surly gravedigger. Which brings us to the final segment of this film, a tale of high art, voodoo and Tom Baker. There’s not a great deal of cravat action in this one. We get an extremely brief, blink-and-you’ll-miss-it, view of Maurice Kauffman doing his best to copy Curd Jürgens styling of linen suit and cravat combo. And we have John Witty with his nasty encounter with a guillotine (one should never wear loose fitting neck attire when operating dangerous machinery). 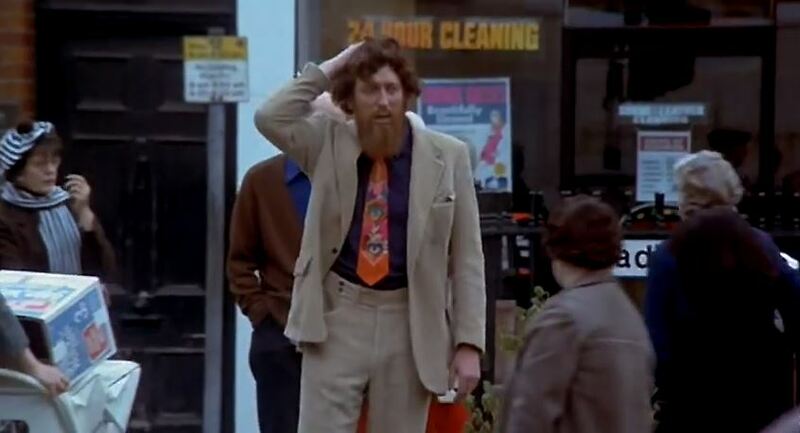 I know it goes against the grain a little and we don’t usually talk about the cravat’s anorexic cousin, the necktie, but a special mention and possibly even a round of applause should really go to Tom Baker’s tie in this one. Just look at it and take in its breathtaking magnificence! I don’t think even the great man himself can quite believe it. And that bring us to the end of another post. We’re nearing the finale now, just one more Amicus portmanteau film to go. See you next time From Beyond The Grave.